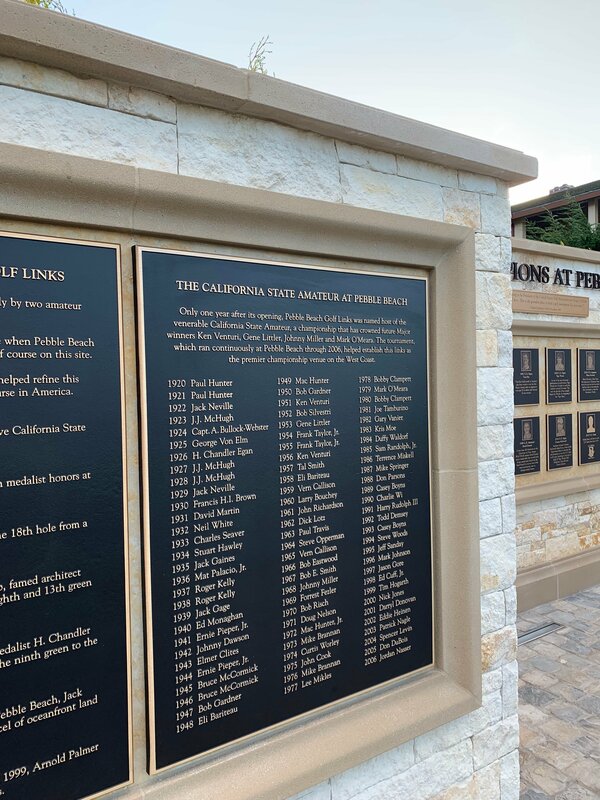 You could always feel the history at Pebble Beach. Now you can see it. 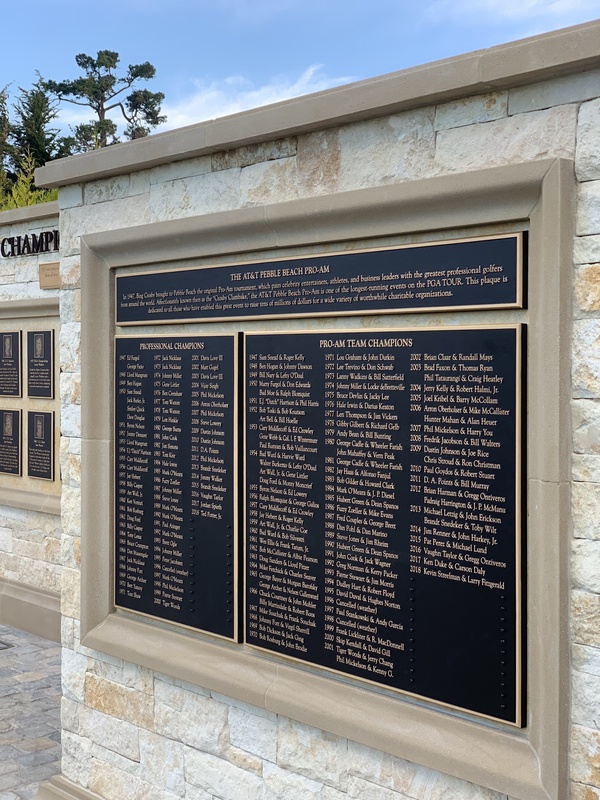 As Pebble Beach Golf Links prepares to celebrate its Centennial on Feb. 22, a brand new Wall of Champions now stands proudly behind the first tee. It was Samuel F.B. Morse’s idea to build a golf course along the coastline. The original plan was to divide the prime real estate into residential lots, but Morse quickly corrected course. The one piece of land Morse sold before shifting gears is where the current fifth hole is located. That is why until 1998, the fifth hole climbed inland. In a fun piece of revisionist history, it’s interesting to wonder how the sixth hole — and really Nos. 6-10 — would have been designed if that land was available all along. 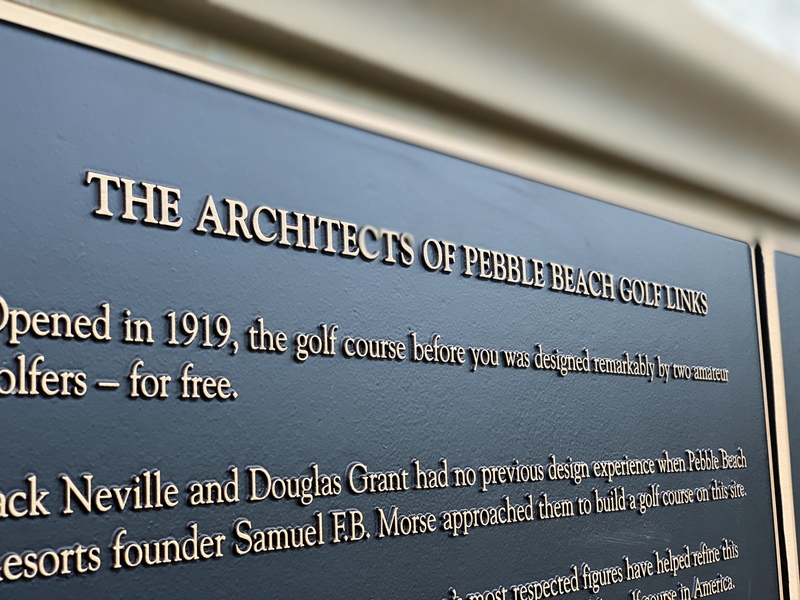 Pebble Beach Golf Links was remarkably designed in by two amateur golfers – for free. 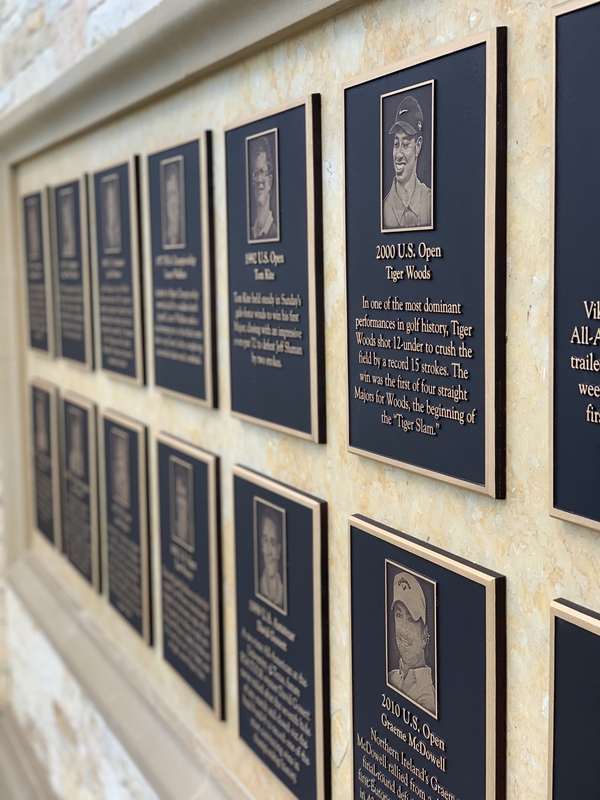 Other significant contributors include William Herbert Fowler, Alister MacKenzie, Chandler Egan and Arnold Palmer. Pebble Beach hosts its sixth U.S. Open in June, to go along with five U.S. Amateurs and two U.S. Women’s Amateurs. 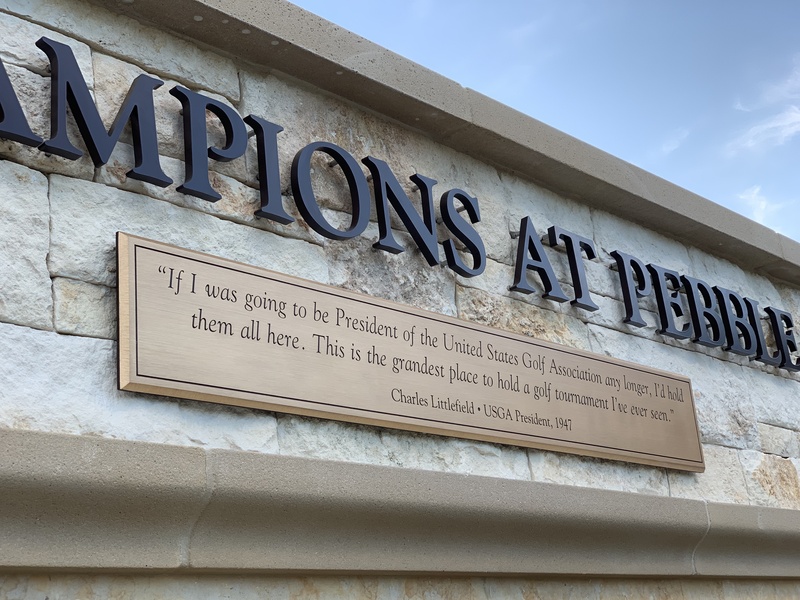 You’ll notice there’s also room for champions of Pebble Beach’s first U.S. Women’s Open in 2023, and the 2027 U.S. Open, too. 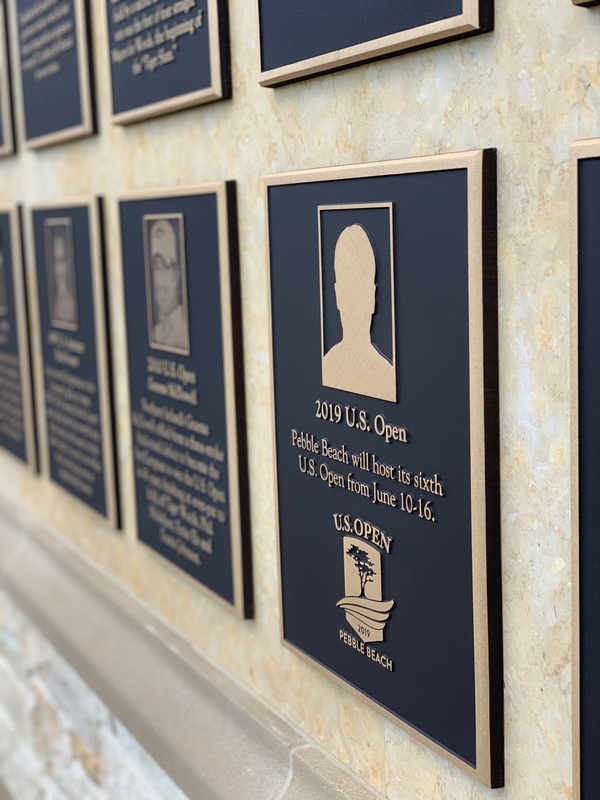 By the end of this week, another set of names will be added to this wall, joining a list of winners that includes Jack Nicklaus, Tom Watson, Tiger Woods and Phil Mickelson, plus Larry Fitzgerald, Bill Murray, Kenny G, Dan Marino and many more. 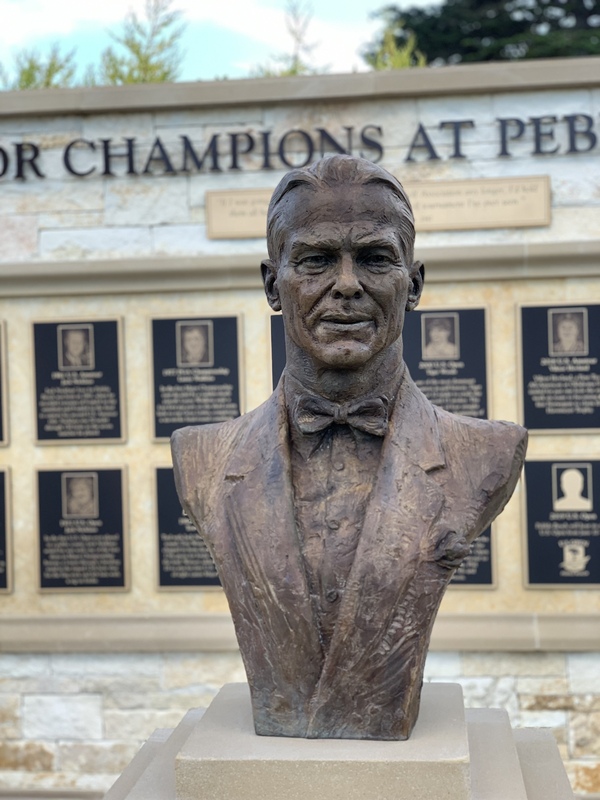 The championship pedigree of Pebble Beach Golf Links can be traced back to 1920, the year after it opened. Pebble Beach hosted the 1920 California State Amateur, a championship that course architects Jack Neville (1919) and Douglas Grant (1918) had won the previous two years. 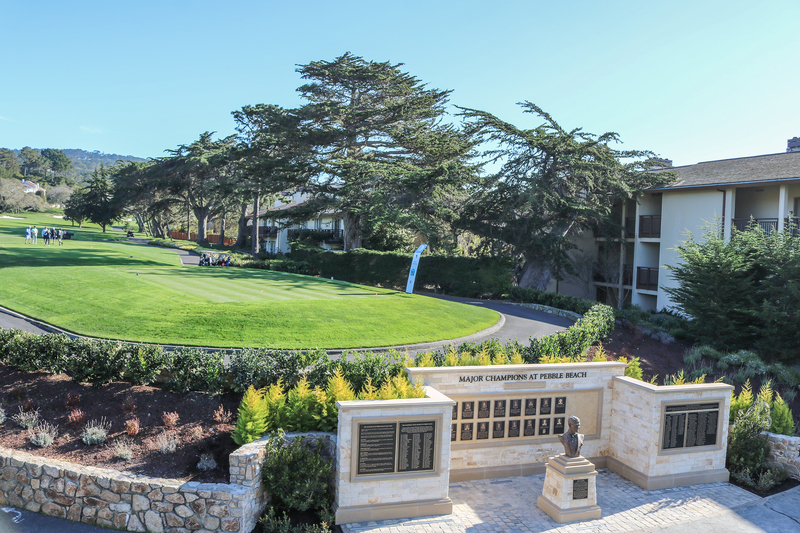 Pebble Beach hosted the State Am until 2006, crowning future Major Champions Ken Venturi, Gene Littler, Johnny Miller and Mark O’Meara. 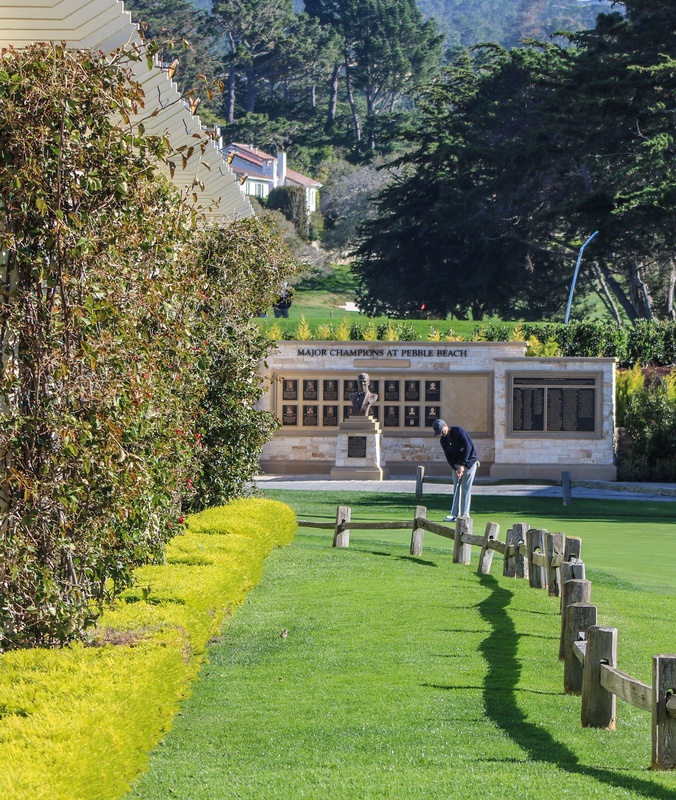 We hope you plan a few extra minutes when you’re warming up to take in the special history at Pebble Beach!